Where to begin?… We were excited to announce the launch of this atty, but had no idea it would be this good (yeah, this is a rave review!). 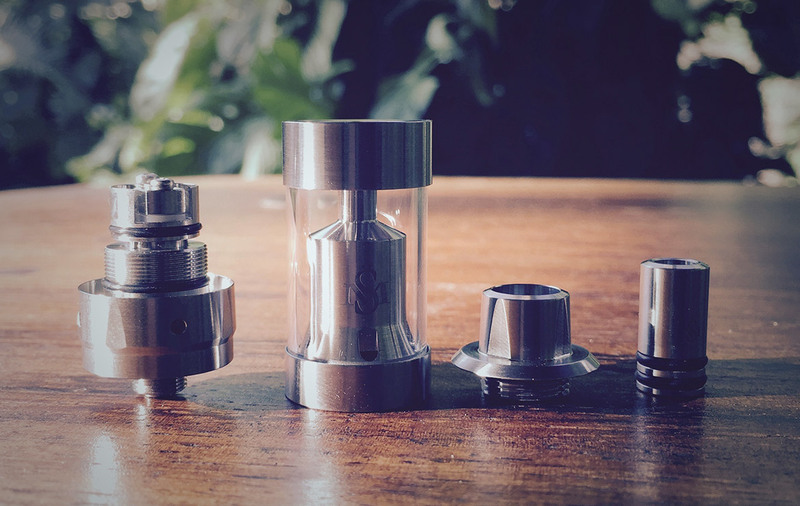 SvoëMesto has done a lot for the vaping industry and community with their design/product contributions, but what’s more incredible is that they continue to innovate and produce outstanding attys! 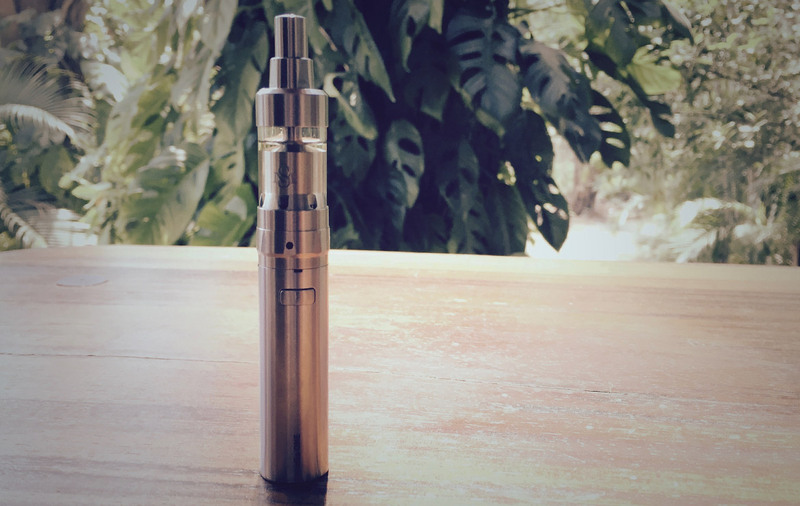 The Kayfun Mini v3 is a big deal in a small package, it has a place in everyone’s collection- it doesn’t matter whether you’re a Cloudchaser or a Flavourchaser, it’s that good! We are not Mouth-to-Lung vapers by any means, but the Kayfun Mini v3 has such outstanding flavour and draw that you would be crazy not to appreciate this vape. The quality of dense lush vapor delivered with a silky smooth draw with the perfect amount of restriction make this an atty you will find hard to put down. It’s an open Mouth-to-Lung almost bordering on a restrictive Lung-Hit (when the AFC is fully open), and this draw is the closest we have experienced to taking a drag of a cigarette (and is why everyone will love it). The flavour is crisp and full, you taste everything your juice has to offer. 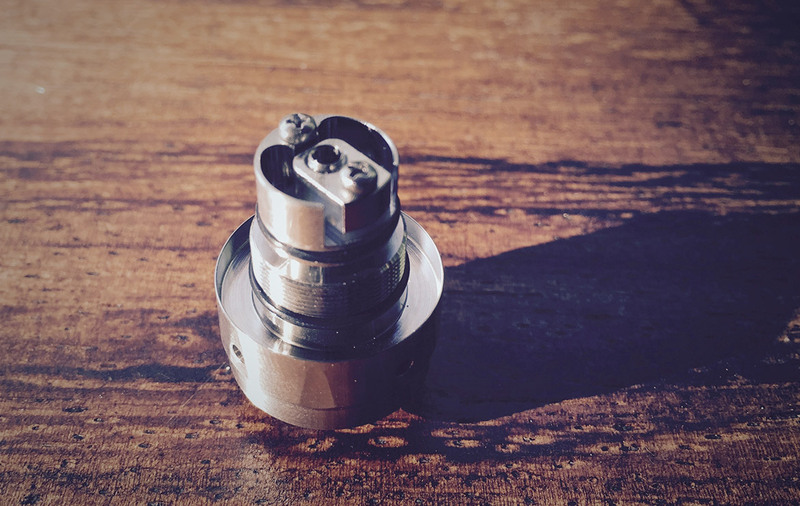 For those of you Lung-Hit vapers, you may want to consider stepping up your Nic a bit when using this atty, we found Mouth-to-Lung vaping doesn’t deliver the Nic as intensely, don’t worry though there is no bite in the flavour when you do (a rather nice throat hit though). Sure, the AFC is slightly annoying to set, but it’s true, once you set it you won’t change it, so an adjustable AFC really isn’t needed. The 4 outer airflow holes leading to the large center hole in the deck (2.2mm) work beautifully and is why we think the AFC functions so silky smooth. The system works well any way you want to vape, straight down, tilted, and even upside down while lounging around. Building is easy. 2 screws with the perfect head size and quality secure your wire leads, each and every time, with very little fuss or trial and error. We threw in a 6 wrap, 26 awg, Kanthal build coming in at 0.65 Ohms on a slight angle (as suggested by SvoëMesto) and run it around 20-25W (23W Sweet Spot, 3.85V), and have yet to change it out. 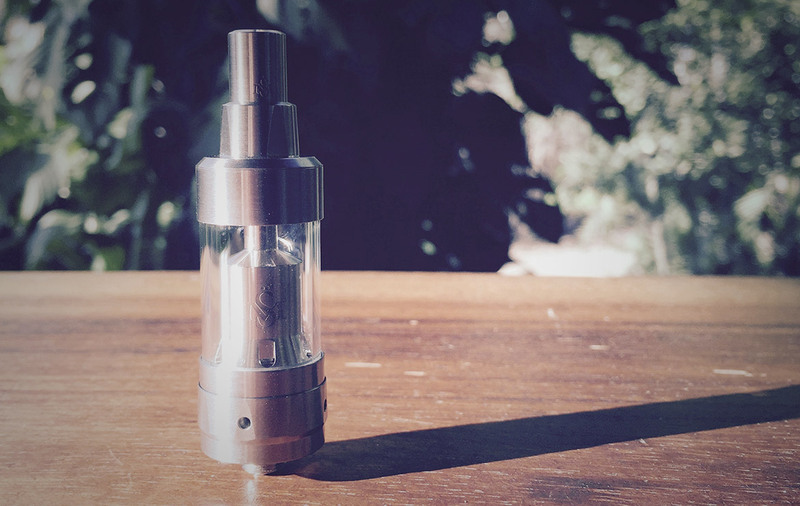 We are amazed at the longevity of the build, we have vaped almost 7 tank fulls and haven’t even checked on the build. 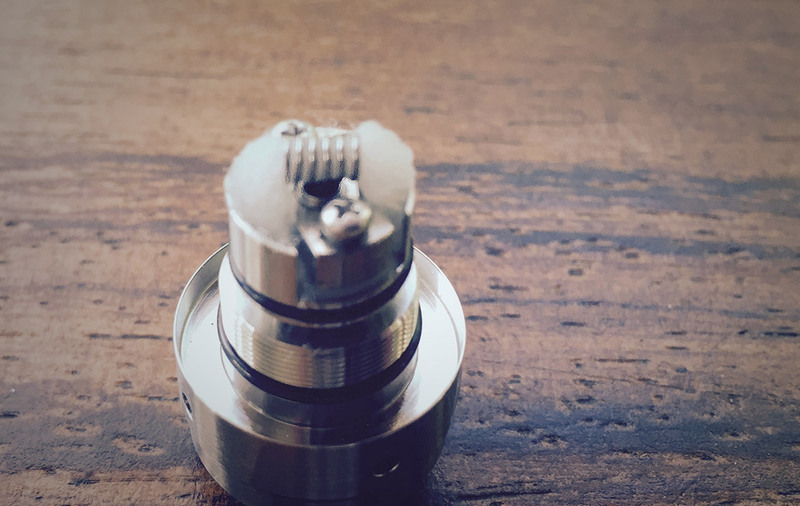 Same coil, same wick, and she is going strong, no diminished flavour or performance. It’s a testament to the design and engineering. Sure the deck is a little tight, but nothing that will cause any real trouble for most. Filling is a pleasure thanks to a well thought out Top Fill system that functions perfectly without any sign of leaking anytime soon. Simply screw down/close off the Juice Flow control and open the top cap and fill away with any dropper, bottle nose, or syringe. Sure, you may think 2ml isn’t enough juice, but you will be pleasantly surprised at how long it lasts (we chain vape and we only go through 3-4 tanks or 6-8mls of juice a day). Every single thread on this atty is smooth as hell and catches every time. We have noticed a bit of a break-in period on the juice flow control, but it’s more than likely the o-rings vs the threads. The Juice flow system works very well, we vape thick juice (70/30 or higher) and leave it fully open. Adjusting is quite easy, open it until you see a tiny gap between the lower deck and tank and then give it a turn or two to close that gap, that’s it. 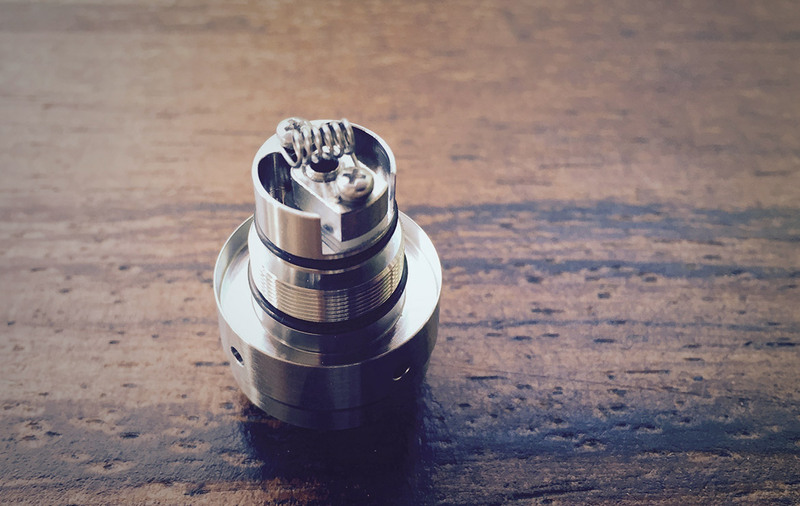 What can we say?… We love this atty! It’s perfect! 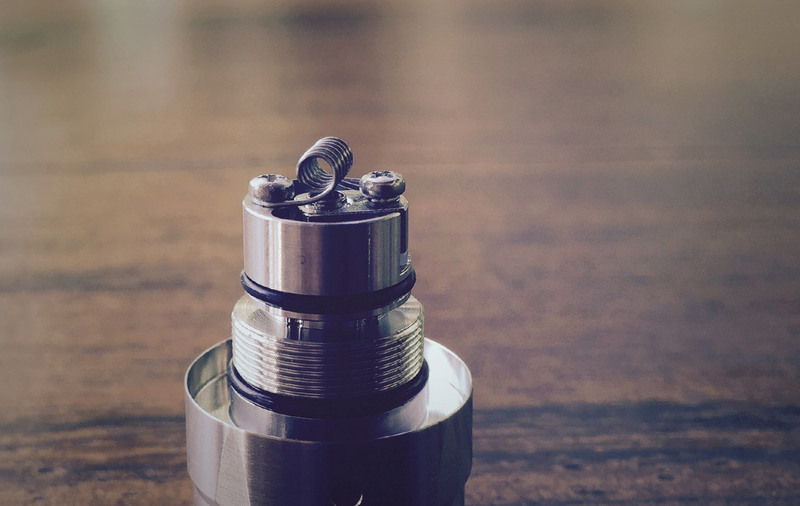 It has a beautiful aesthetic, looks very premium, it’s made of the finest materials, it’s small & lightweight, has a beautiful included drip tip (we don’t usually like stainless tips, it’s that nice), incredible vapor quality and flavour, beautiful inspiring engineering, and a heritage from a company that has played a major role in vaping. 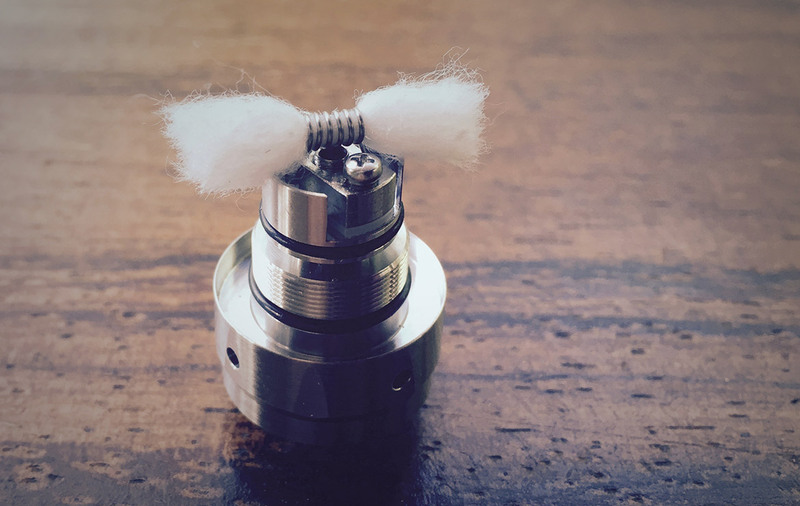 Sure it’s $100, but it’s probably the best $100 you will spend for a while on an atty. We give it the highest score we can minus a couple of points for a smaller juice capacity (that will however meet the new european standards coming down) and the miss of providing an additional or spare tank glass (sure they will have them for sale though), that’s it. Go get yourself one, it will change your vaping experience. Sometimes we all need to enjoy a little Mouth-to-Lung action. Oh and it looks pretty awesome on anything you put it on, but throw it on an Ego One and damn- it looks good (and performs well too!). Just got to say OMG I LOVE THIS TANK!! I cannot believe the difference in flavor compared to the V4. Flavor on this is INCREDIBLE!!! But, the airflow is just bliss. I mean so smooth that it makes this tank that much better. I honestly didn’t think I was gonna like this because, well let’s face it the flavor on the Kayfun V4 was mediocre at best and the Juice flow would stick making it a HUGE PITA to fill. I honestly don’t mind filling this because YES…IT IS THAT DAMN EASY! It is wonderful on juice consumption, which lets you enjoy your overpriced (yet can’t live without it….) eliquid that much more. Oh, and did I mention the flavor……..? 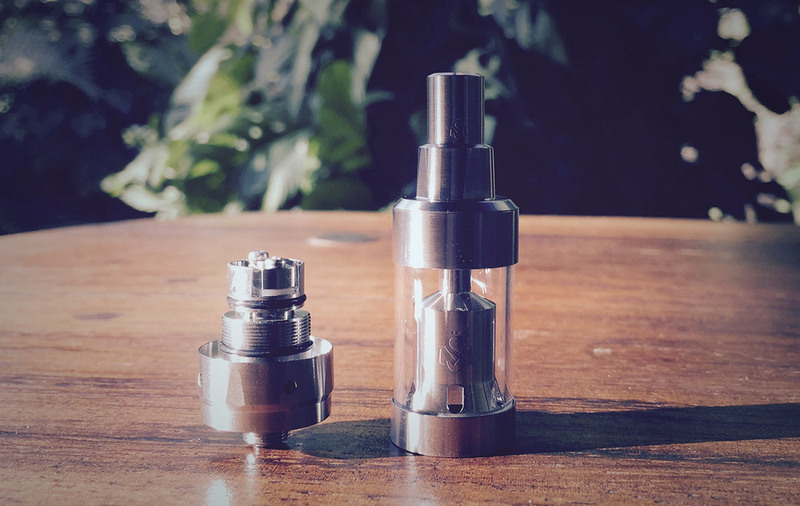 With the addition with 3 NEW TANK OPTIONS FROM SVOEMESTO soon to hit the states. 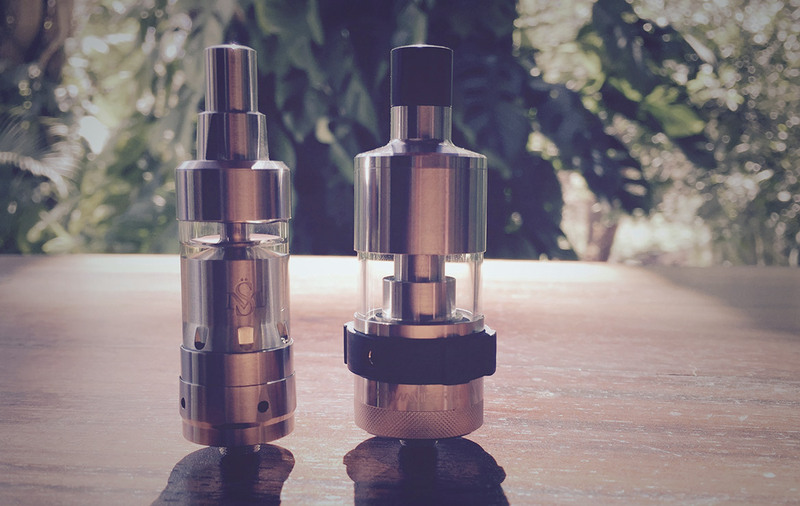 Two of the tanks hold 3.6ml and the third tank holds 4.2ml of eliquid. These classy, (all 316L stainless steel) tank options are sure too please those in need of larger capacities. Anyway, slap a sticker on it I’m a sold KAYFAN !! !